Lewis Hamilton, the soon-to-be four-time world champion, gushed about the festival atmosphere and the expanded pre-race ceremonies Sunday for the United States Grand Prix, which the Mercedes driver won for the fourth consecutive year. “I think they just made the Super Bowl here,” said the 32-year-old Brit, who’s likely to lock up the points title this week in Mexico City. “I think the entertainment was the best we’ve seen, the drum line, the marching bands, all the major music acts. Yeah, I think the whole set-up was amazing. Track chairman Bobby Epstein, taking a cue from other F1 venues, no longer releases attendance numbers, but he was more than pleased with the weekend, which included concerts by Justin Timberlake and Stevie Wonder along with 30 Texas bands, marching bands from Prairie View A&M and Texas State, the Dallas Cowboys cheerleaders and Michael Buffer’s “let’s get ready to rumble” driver intros. “Easily the best U.S. Grand Prix,” Epstein told the American-Statesman. “The crowds were incredible, the racing fierce and the experience off the charts. 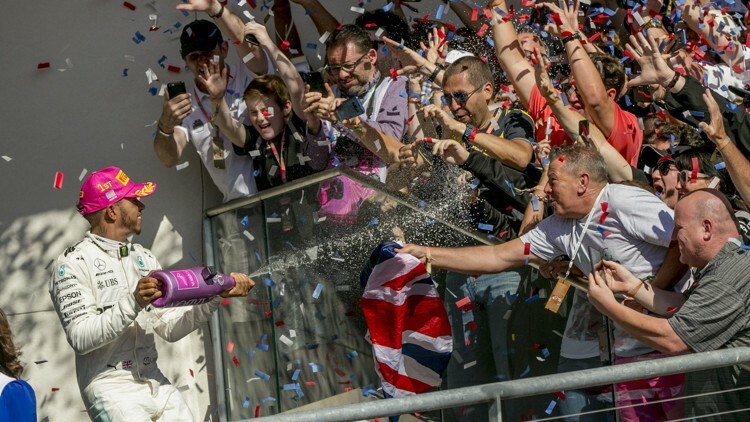 When COTA was still releasing crowd counts, it reported a track-record total of 269,889 fans for the three-day weekend in 2016. Formula One owners are pushing more of the circuits to ratchet up the entertainment to give their grand prixes a Super Bowl or Final Four-like feel. “We need more energy off the grid, and COTA sets a good example. I want the three- and four-day festivals,” F1 managing director Sean Bratches told the Statesman last Friday in an exclusive interview. “We’re very fortunate in Austin to have Bobby Epstein, an individual who understands the dynamic of marketing and spectacle. (COTA chief operating officer) Katja Heim is a total rock star and a master at promoting. Not all drivers were swept up in the party atmosphere or extended pre-race activities at COTA. Vettel is not interested in his German home track, Hockenheim, adding COTA’s bells and whistles. Epstein said he heard good things not just from Hamilton but from racing teams in the middle and back of the F1 pack.